On the left, cosplayer and make-up artist Sosenka. On the right, cosplayer and make-up artist Sosenka. 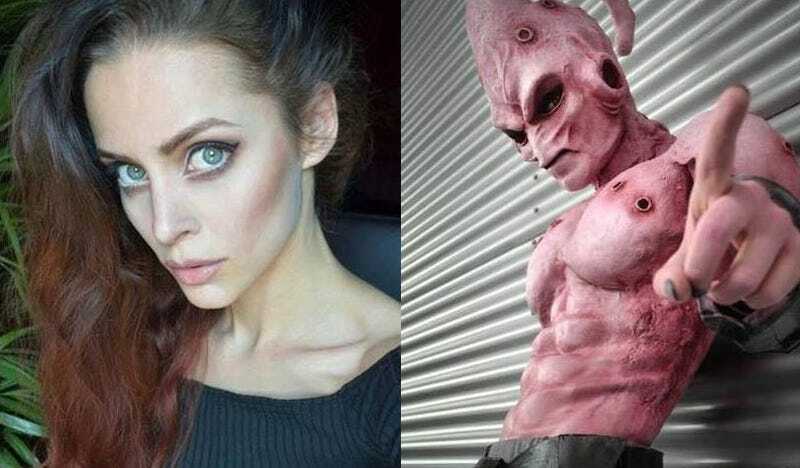 Her Majin Buu cosplay looks good in stills, almost photoshopped in parts (like around the nose and mouth), so it pays to see the whole thing in motion so we can get an appreciation for how legit the whole thing is. Here are some more images, so you can see the attention to detail went from head to toe. You can see more of Sosenka’s cosplay at her Facebook page.